But there was no answer to Will’s shout; his hunting partner had been standing behind him in the damp and crooked street a few moments before, guarding his back, Will was positive, but now Will was alone in the shadows. He frowned in annoyance—it was much less fun showing off without Jem to show off to. He glanced behind him, to where the street narrowed into a passage that gave onto the black, heaving water of the Thames in the distance. Through the gap Will could see the dark outlines of docked ships, a forest of masts like a leafless orchard. No Jem there; perhaps he had gone back to Narrow Street in search of better illumination. With a shrug Will headed back the way he had come. Narrow Street cut across Limehouse, between the docks beside the river and the cramped slums spreading west toward Whitechapel. It was as narrow as its name suggested, lined with warehouses and lopsided wooden buildings. At the moment it was deserted; even the drunks staggering home from the Grapes up the road had found somewhere to collapse for the night. Will liked Limehouse, liked the feeling of being on the edge of the world, where ships left each day for unimaginably far ports. That the area was a sailor’s haunt, and consequently full of gambling hells, opium dens, and brothels, didn’t hurt either. It was easy to lose yourself in a place like this. He didn’t even mind the smell of it—smoke and rope and tar, foreign spices mixed with the dirty riverwater smell of the Thames. Looking up and down the empty street, he scrubbed the sleeve of his coat across his face, trying to rub away the ichor that stung and burned his skin. The cloth came away stained green and black. There was a cut on the back of his hand too, a nasty one. He could use a healing rune. One of Charlotte’s, preferably. She was particularly good at drawing iratzes. A shape detached itself from the shadows and moved toward Will. He started forward, then paused. It wasn’t Jem, but rather a mundane policeman wearing a bell-shaped helmet, a heavy overcoat, and a puzzled expression. He stared at Will, or rather through Will. However accustomed Will had become to glamour, it was always strange to be looked through as if he weren’t there. Will was seized with the sudden urge to grab the policeman’s truncheon and watch while the man flapped around, trying to figure out where it had gone; but Jem had scolded him the few times he’d done that before, and while Will never really could understand Jem’s objections to the whole enterprise, it wasn’t worth making him upset. “Yes, I heard you.” The young man who appeared at the mouth of the alley was pale in the lamplight—paler even than he usually was, which was quite pale indeed. He was bareheaded, which drew the eye immediately to his hair. It was an odd bright silver color, like an untarnished shilling. His eyes were the same silver, and his fine-boned face was angular, the slight curve of his eyes the only clue to his heritage. There were dark stains across his white shirtfront, and his hands were thickly smeared with red. Will glanced past his friend, into the thicker shadows of the alley. In the far corner of it was a crumpled shape—only a shadow in the darkness, but when Will looked closely, he could make out the shape of a pale hand, and a wisp of fair hair. At that, Will cursed with great volume and expression. Jem waited patiently for him to be done. Will took it. The blade was indeed thin, ending in a handle made of polished bone. The blade and hilt both were stained with dried blood. With a frown he wiped the flat of the knife across the rough fabric of his sleeve, scraping it clean until a symbol, burned into the blade, became visible. Two serpents, each biting the other’s tail, forming a perfect circle. “The sort who usually end up a pile of bloody rags inside some pentagram.” Jem sounded grim. Tessa could not remember a time when she had not loved the clockwork angel. It had belonged to her mother once, and her mother had been wearing it when she died. After that it had sat in her mother’s jewelry box, until her brother, Nathaniel, took it out one day to see if it was still in working order. The angel was no bigger than Tessa’s pinky finger, a tiny statuette made of brass, with folded bronze wings no larger than a cricket’s. It had a delicate metal face with shut crescent eyelids, and hands crossed over a sword in front. A thin chain that looped beneath the wings allowed the angel to be worn around the neck like a locket. Tessa knew the angel was made out of clockwork because if she lifted it to her ear she could hear the sound of its machinery, like the sound of a watch. Nate had exclaimed in surprise that it was still working after so many years, and he had looked in vain for a knob or a screw, or some other method by which the angel might be wound. But there had been nothing to find. With a shrug he’d given the angel to Tessa. From that moment she had never taken it off; even at night the angel lay against her chest as she slept, its constant ticktock, ticktock like the beating of a second heart. She held it now, clutched between her fingers, as the Main nosed its way between other massive steamships to find a spot at the Southampton dock. Nate had insisted that she come to Southampton instead of Liverpool, where most transatlantic steamers arrived. He had claimed it was because Southampton was a much pleasanter place to arrive at, so Tessa couldn’t help being a little disappointed by this, her first sight of England. It was drearily gray. Rain drummed down onto the spires of a distant church, while black smoke rose from the chimneys of ships and stained the already dull-colored sky. A crowd of people in dark clothes, holding umbrellas, stood on the docks. Tessa strained to see if her brother was among them, but the mist and spray from the ship were too thick for her to make out any individual in great detail. Tessa shivered. The wind off the sea was chilly. All of Nate’s letters had claimed that London was beautiful, the sun shining every day. Well, Tessa thought, hopefully the weather there was better than it was here, because she had no warm clothes with her, nothing more substantial than a woolen shawl that had belonged to Aunt Harriet, and a pair of thin gloves. She had sold most of her clothes to pay for her aunt’s funeral, secure in the knowledge that her brother would buy her more when she arrived in London to live with him. A shout went up. The Main, its shining black-painted hull gleaming wet with rain, had anchored, and tugs were plowing their way through the heaving gray water, ready to carry baggage and passengers to the shore. Passengers streamed off the ship, clearly desperate to feel land under their feet. So different from their departure from New York. The sky had been blue then, and a brass band had been playing. Though, with no one there to wish her good-bye, it had not been a merry occasion. having kept almost entirely to herself on board the Main. It would be wonderful to have her brother to talk to again. He wasn’t there. The wharves were heaped with stacks of luggage and all sorts of boxes and cargo, even mounds of fruit and vegetables wilting and dissolving in the rain. A steamer was departing for Le Havre nearby, and damp-looking sailors swarmed close by Tessa, shouting in French. She tried to move aside, only to be almost trampled by a throng of disembarking passengers hurrying for the shelter of the railway station. But Nate was nowhere to be seen. “You are Miss Gray?” The voice was guttural, heavily accented. A man had moved to stand in front of Tessa. He was tall, and was wearing a sweeping black coat and a tall hat, its brim collecting rainwater like a cistern. His eyes were peculiarly bulging, almost protuberant, like a frog’s, his skin as rough-looking as scar tissue. Tessa had to fight the urge to cringe away from him. But he knew her name. Who here would know her name except someone who knew Nate, too? “Where is he?” Tessa demanded, but the man was already walking away. His stride was uneven, as if he had a limp from an old injury. After a moment Tessa gathered up her skirts and hurried after him. He wound through the crowd, moving ahead with purposeful speed. People jumped aside, muttering about his rudeness as he shouldered past, with Tessa nearly running to keep up. He turned abruptly around a pile of boxes, and came to a halt in front of a large, gleaming black coach. Gold letters had been painted across its side, but the rain and mist were too thick for Tessa to read them clearly. Tessa nodded. The bulging-eyed man hurried to help the woman out of the carriage—and then another woman, following after her. Each of them immediately opened an umbrella and raised it, sheltering themselves from the rain. Then they fixed their eyes on Tessa. They were an odd pair, the women. one was very tall and thin, with a bony, pinched face. Colorless hair was scraped back into a chignon at the back of her head. She wore a dress of brilliant violet silk, already spattered here and there with splotches of rain, and matching violet gloves. The other woman was short and plump, with small eyes sunk deep into her head; the bright pink gloves stretched over her large hands made them look like colorful paws. “He was unavoidably detained by business in London. Mortmain’s couldn’t spare him. He sent ahead a note for you, however.” Mrs. Black held out a rolled-up bit of paper, already dampened with rain. Tessa took it and turned away to read it. It was a short note from her brother apologizing for not being at the docks to meet her, and letting her know that he trusted Mrs. Black and Mrs.
Dark—I call them the Dark Sisters, Tessie, for obvious reasons, and they seem to find the name agreeable!—to bring her safely to his house in London. They were, his note said, his landladies as well as trusted friends, and they had his highest recommendation. “No need, no need.” Mrs. Dark’s cheerful tone was at odds with her pinched gray features. “We’ve already arranged to have it sent on ahead.” She snapped her fingers at the bulging-eyed man, who swung himself up into the driver’s seat at the front of the carriage. She placed her hand on Tessa’s shoulder. Tessa put a hand to the clockwork angel at her throat, taking comfort in its steady ticking, as the carriage lurched forward into the rain. The year is 1878. When sixteen-year-old Tessa Gray crosses the ocean to find her brother, something terrifying is waiting for her in London’s Downworld, where vampires, warlocks, and other supernatural folk stalk the gaslit streets. Kidnapped by the mysterious Dark Sisters, members of a secret organization called The Pandemonium Club, Tessa soon learns that she herself is a Downworlder with a rare ability: the power to transform, at will, into another person. What’s more, the Magister, the shadowy figure who runs the Club, will stop at nothing to claim Tessa's power for his own. Friendless and hunted, Tessa takes refuge with the secretive, demon-slaying Shadowhunters—including Will and Jem, the mysterious boys she finds herself torn between. Soon they find themselves up against the Pandemonium Club, a secret organization of vampires, demons, warlocks, and humans. Equipped with a magical army of unstoppable clockwork demons, the Club is out to annihilate the Shadowhunters and rule the British Empire, and Tessa realizes that she may need to choose between saving her brother and helping her new friends save the world. · What is the Pandemonium Club? The Shadowhunters think the Club has more power than it actually does. Why do they have that impression? What has been done to manipulate the Club’s image? · Tessa gradually uncovers information about herself and her powers, but she still knows very little about why she was “created.” Why is it important to her and to the Shadowhunters to find out? How does Tessa’s view of herself change over the course of the story? · Chapter 3 begins with a Robert Browning quote, “Love, hope, fear, faith—these make humanity; These are its sign and note and character.” Do you agree? What other characteristics do you think are the hallmarks of humanity? · Tessa, Jessamine, and Charlotte all have very different ideas about the appropriate roles for women. How much of each woman’s attitude do you think comes from the beliefs of the day, and how much from her own experiences? · Why are books so important to Tessa? What do they add to her life? Do the Shadowhunters have things in their life that serve this same purpose? · A Tale of Two Cities by Charles Dickens is mentioned several times throughout the story, most noticeably when Will and Tessa are about to enter de Quincey’s party. Why do you think the author chose this particular book? What themes are common to both? · How does Jem deal with his addiction and its effect on his health and his life? Has it changed his personality? Why does he ask the others to stop searching for a cure; why do they agree? Is his reaction to addiction normal? · Will’s philosophy can be summed up by a quote by Horace, “Pulvis et umbra sumus,” which means “We are dust and shadows.” Why do you think this resonates with him so deeply? Do his actions bear witness to this belief? · What caused de Quincey to betray the Nephilim? Were the Nephilim surprised by this betrayal? Should they have been? · Clockwork Angel is set in the middle of the Industrial Revolution. Why are the clockwork people so frightening to Tessa and the Shadowhunters? How does the Magister’s clockwork army affect the power balance in his fight against the Shadowhunters? · What does Tessa want from her relationship with Will? Why does Will force distance between them? · Books are very important in Tessa’s life, and she uses literature to help define other people and determine if she can trust them. How do the books you own and love define your character? Create a book collection based on a specific theme or philosophy that is important to you. Annotate the collection, explaining how the books work together to create a complete picture of who you are. · There is a lot of tension between Downworlders and Shadowhunters in Clockwork Angel. Have students role-play a negotiation to help bring peace between the two groups. · Cassandra Clare references many classic works of literature in Clockwork Angel. Choose one of these works to read. Write a short essay about the themes in the work, and why you think they resonated with Clare enough for her to include them. · Will finds his personal credo in a quote by Horace. What quote or saying best sums up your philosophy of life? Assemble a collection of quotes from famous works—both classic and contemporary—to convey to others what this philosophy is. · Compare an 1878 map of London with a modern map. 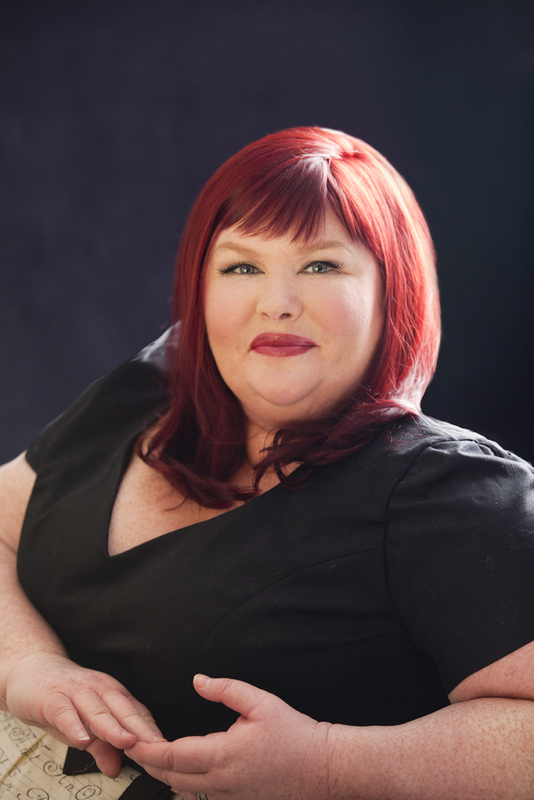 Locate some of the streets and landmarks that Cassandra Clare describes. How has the layout of the city changed? Which streets and landmarks are still standing? Compare old images of buildings and streets with modern photographs or Google maps. · Create a clock or other clockwork machine, either from a kit or from plans that you draw up. · Will and Tessa are fond of quoting poetry. Write a poem of your own that describes the place where you live, the way you are feeling, or something that you have done. 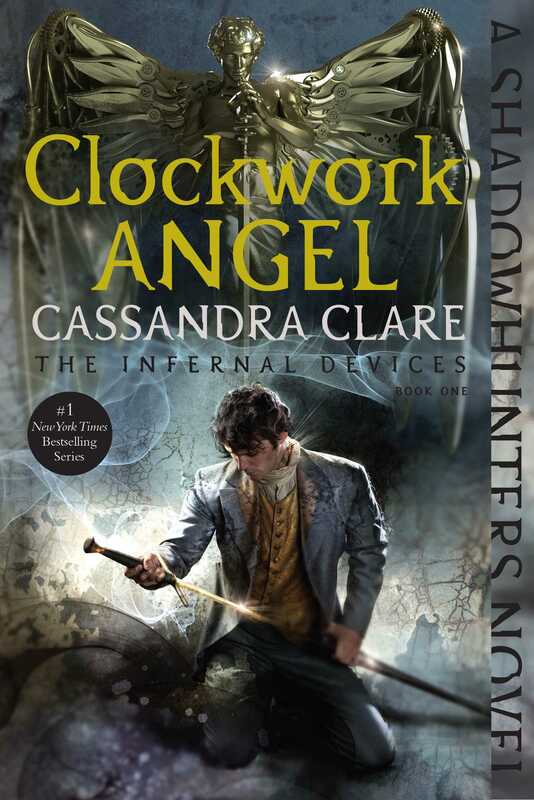 · Clockwork Angel serves as a prequel to Clare’s Mortal Instruments series, and as such, offers some backstory for them. Create a Shadowhunter family tree by charting out which characters in this book might be related to characters in the Mortal Instruments. What traits do they share? What trends can you see developing?